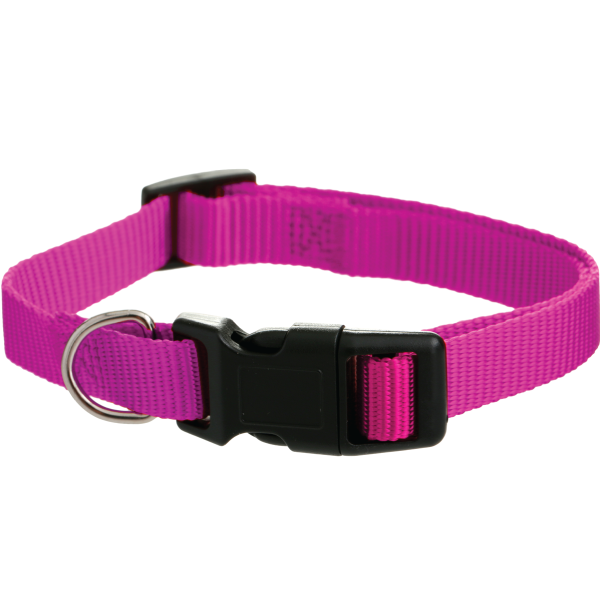 Superior quality dog collars at a great price. A great option for your furry companion, these dog collars are made from durable material and sized to fit most dogs. Fully adjustable, they can be optioned with metal ring and can also feature a reflective strip for an extra cost. These collars are made to any Pantone colour! Matched to your Pantone colour!